Do you operate a business with a fleet of trucks that make deliveries, provide repair or installation works or operates any other services that require large vehicles? 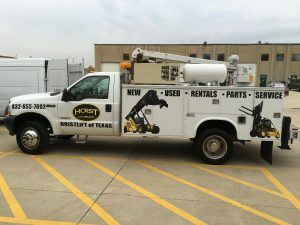 You might not be aware of how much publicity you could collect from these vehicles if they were fit with attractive top-quality truck wraps tailored to your needs by Shine On Signs & Graphics. When your trucks are traveling the road with these bespoke truck wrap vinyl, your brand visibility is increased 100-fold. Just think of all the possible clients you could have on the streets, sidewalks and buildings your trucks will be passing by. A fleet of uniform vehicles also sends a strong message about your company’s professionalism and attention to details, which is very important to building trust with your specific customer pool. Call Shine On Signs & Graphics today at (425) 336-4511 for a Free Consultation with a Truck Wrap Specialist! Consider the route you take to work each day. Most people travel the same route day in day out just blending in with the vehicles around you. 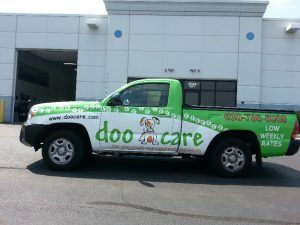 Now imagine if your truck had a custom vinyl wrap displaying your brand proudly. Suddenly the message has gotten around. The phones are ringing off the hook, and everyone you meet has heard of your brand and logo. This is because a vehicle wrap is not only a far-reaching publicity tool, it is also a consistent one as well. Most people would never recognize their fellow motorists, despite the fact that they pass near each other practically every day. But, what if one of them started carrying a large sign with an eye-catching message. Everyone would recognize this individual as the guy with the attractive sign. This works exactly the same for the vehicle you are driving. Vinyl wraps give your vehicle an attractive quality people are going to notice, and your message is reinforced every time it is seen. As a full-service custom signage provider, we understand your need to deliver a unique marketing message that sets you apart from other businesses in your area and industry. This means that the design we provide needs to be professionally applied with visual elements that are clearly discernible, and unmistakable from a great distance and that is exactly what we do! Consult with our wrap experts for wraps, designs graphics or magnetic attachments for your vehicles. We also can apply the design for your entire fleet matching the different shapes contours and sizes for a well-applied and unique look. Many different businesses work with a wide variety of different vehicles big and small, and we can create tailormade wraps and designs to suit them all. We can create a single cohesive vehicle wrap design that is applied in different ways as the vehicles matching the shape of each vehicle. 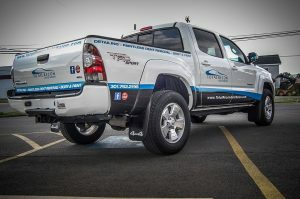 These attractive truck wraps do more than provide a consistent branding message that is delivered wherever they may roam; they also work to protect your vehicles from the wear and tear that comes naturally to vehicles on the roads. A fleet of trucks or other company vehicles represents a considerable investment on the side of the company, and it is a good idea to apply a proper protective upgrade to keep them in the best conditions for as long as possible. A durable vinyl wrap ensures that the exteriors of your vehicles are protected from road wear, branches and bushes and other incidents that can mar the beauty of your vehicle’s exterior. This protects your investments and increases the longevity of your vehicle. Of course, the most important advantages of your tailormade vehicle wrap are only available through proper and professional installation. This is why we handle all aspects of the truck wrap process, including the final application of the vinyl to the vehicles, this ensures the aesthetic qualities of your wrap are not marred in any way. As a complete provider of tailormade truck wraps and designs, we are proud to address all aspects of this task. We handle the designs or incorporate an existing design into tailormade vehicle wraps. We will then ensure a top-notch fabrication of top-quality materials. Finally, our skilled installation professionals will apply the vinyl wrap to the exterior of your vehicles to ensure there are no wrinkles, creases or bubbles. 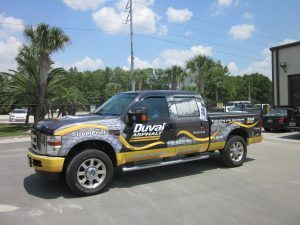 It is our mission to be your truck wrap partner, protecting your investment and spreading your brand and company message. Shine On Signs & Graphics is your provider for all types of business signage needs. 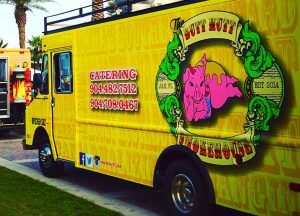 We can provide you with the graphics, vehicle wraps and other products that will improve the visibility of your company and brand. Our customer was impressed with the service and level of professionalism.